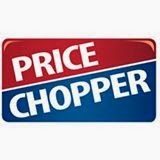 Here are my favorite deals I see at Price Chopper from the advertised prices good through next Monday. Please keep in mind I only share my favorite deals so be sure to check out the weekly ad. KC Pride 80% Lean Ground Beef $1.99 lb. What's on your Price Chopper list this week? See any deals I missed?